Pregnant caregivers are twisting to help patients and clients on a bed or a massage table, which can eventually twist and tighten the uterine ligaments. For instance, if you stand on the same side of the bed or massage table and work on a person, you will be leaning in the same direction while twisting your body. Perhaps you are leaning to your right side repeatedly through the work day. Then the ligament on the right gets tighter and shorter. The ligament on the left is longer. 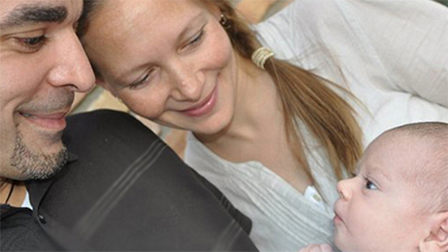 This may be why the lore is that chiropractors have more difficult births than the patients they treat! Your uterus will begin to tip over time and stay in that position. Now the baby may not get lined up just so for birth. Labor can be longer and harder than average. Or, even before birth, your womb isn’t getting the full circulatory benefit of hormones and oxygen that pregnancy needs. Reverse the twist from massaging clients on one side to release the ligament that gets shorter on the side you lean into. 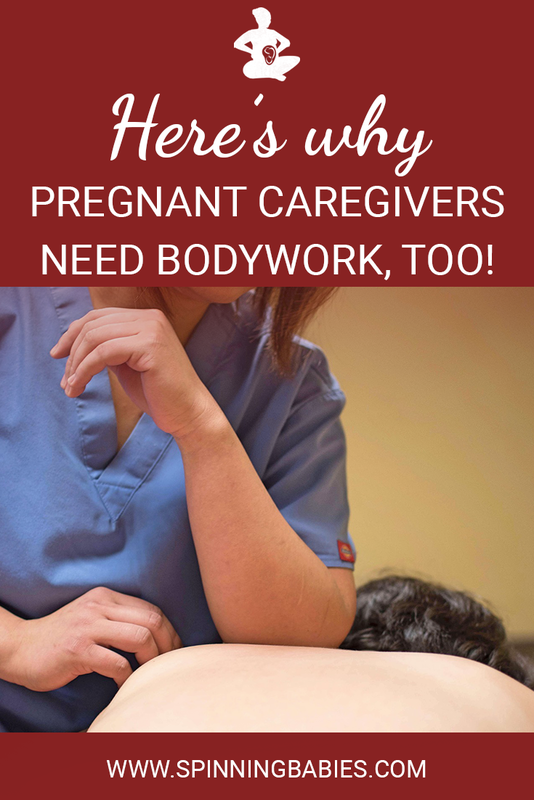 It’s good for pregnant caregivers to get body work, too! Balance your own pelvic area-ligaments, tone, etc. Learning about how you use your body and how you can move your body in a balanced way will help. Watch a British Medical Journal video on the benefits of the Alexander Technique, a way to move your body in a more comfortable way.